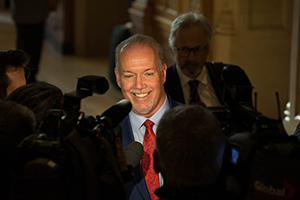 WHITEHORSE, July 22, 2016 – Premiers are committed to maintaining a modern and competitive Canadian market. They recognize the role that more open internal trade can play in helping businesses be more productive, create jobs, and grow the economy. 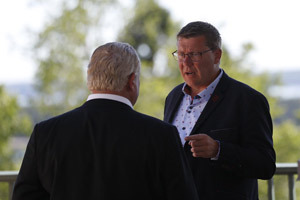 Premiers reached an agreement in principle on a new Canadian Free Trade Agreement (CFTA). 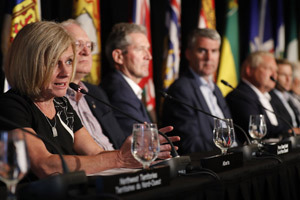 The CFTA is a ground-breaking agreement that will support their vision for promoting trade, investment and labour mobility across provincial and territorial boundaries, as part of a broader economic vision for Canada. Its achievements include broad coverage of the Canadian economy, reduced regulatory burden and enhanced procurement opportunities. Unlike the previous AIT, this agreement will be based on a "negative list" approach, where all government measures will be covered unless specifically excluded. 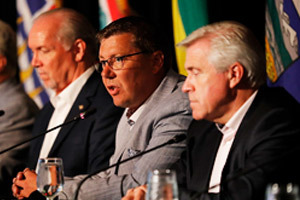 Premiers directed their trade ministers to finalize remaining technical issues around the agreement, working with the federal government, and submit it for consideration by First Ministers. 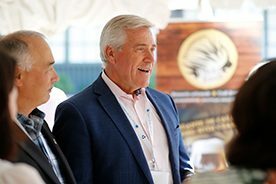 Premiers noted the agreement includes the establishment of a working group on alcoholic beverages, which will explore opportunities to improve trade in beer, wine and spirits across Canada. This agreement will replace the Agreement on Internal Trade and enhance trade between provinces and territories.